« Sarah Staar IM Newsletter – £23,000 in Cash ?? While I was doing some research for the Video Hacker Pro product I dug up lots of stuff about video. The most interesting was that more than 50% of video watched is on mobile devices, mainly smartphones. And while a lot of it is short clips (under 10 minutes) more than half is videos of 30 minutes or longer. And the reason why people are doing this is time-shifting. If you are on a tube, bus, train, or just standing in a Starbucks queue, what is easier than just taking your headphones out and catching up on something ? I know I download videos to my phone, either episodes from series, films, or instructional videos, and I watch them whenever I am in a waiting room – latterly when hanging around at an airport !! Which has got me thinking…. How many of you are reading this Newsletter on your smartphone ? How many of you are watching my videos on your smartphone ? As you know, smartphones are becoming more and more common, for a lot of people it’s their main computer!! Which probably explains why a few of you have emailed me and asked if I could create a Sarah Staar App. No problem, this is something I’ve decided to put on the top of my to-do list. But I need your help on this. I don’t know what you guys might want to see in a Sarah Staar App ? And what you would want to use it for ? So I can use your help! I need to find out how many people would be interested in my new app…. So if this is something that interests you simply reply to this email, and insert the single word YES. I will then get back to you and we can have a more focussed discussion about what you want to use it for and what you want it do !! I’m starting to get super excited as next week I get my new Tesla model S! Now it doesn’t make much sense to get the car without having thought how you are going to charge it at home. So in preparation I had a car charger installed in my driveway this morning!! The guy that installed it said to me “Sarah you now have a petrol station in your front garden”, which I thought was quite funny. I opted to go for a Rolec home charging unit because of the modular design. In this design the charger is made up of standard components which are available in pretty much any electrical wholesaler. Most charges are sealed units and if something goes wrong when the warranty runs out you need to buy new charger! Now, the great thing about having this charger installed was the government paid 75% of the installation cost!! Which is great, but the application form for the government grant was a) very long and b) clearly hadn’t gone through the “Simple English” process !! This enabled me to get the 75% discount on the installation!! Pretty cool considering that I also got a £5,000 grant from the government towards my new Tesla model S, and I don’t have to pay any road tax. As a “by the way” I have also changed electricity supplier to Ecotricity, the main benefit being that I get to use a bunch of medium amperage chargers for free, and these chargers are scattered around the UK at more than 300 points. When I first started marketing online I didn’t use Facebook, in fact I got all my information from Internet marketing forums, such as the Warrior Forum. A couple of years ago the Warrior Forum was sold to “UpWork” and, in my humble opinion, things started to go downhill. Yesterday I logged onto the Warrior Forum, for the first time in six months and I was horrified. The forum is now full of advertising, and they seem to have also removed forum signatures!! It’s a real shame because the Warrior Forum used to be really good place to discover new marketing tactics. Now it just seems to be full of junk. Facebook groups seem to have taken over BUT I find Facebook Internet marketing groups a bit chaotic. It’s very difficult to find information, for instance with a forum you can do a simple keyword search for a topic and find all the forum threads to do with that subject. You can’t really do this with Facebook. I’m now in the process of looking for a new Internet marketing forum to join, or should I create my own?? One of the things I love to do is listen to audiobooks, especially in the car. The service, or rather the app, which I use for this is called audible. It’s an Amazon service, which means you can buy audio books on Amazon and they are downloaded to the app on your phone. The great thing is you can listen to the audio books at twice normal speed. Other cool features include things like, if you only listen to an hour of the audiobook, you can come back tomorrow, next week, or next year, and the App will remember where you last left off from. For a long time now I’ve been looking for an app that would do a similar job except with downloaded MP3 audio files. You see I’ve got loads of audio interviews, seminar recordings etc that I’d love to listen to in the car but it’s a bit impractical using the audio player that’s built into my phone. Last week I discovered a brilliant new app called “listen audiobook player”. It costs about two dollars but is definitely worth the investment. It seems to do all the things that audible does but with downloadable audio files, definitely well worth a look if you’ve got loads of audio files on your PC you’d love to listen to on your phone. Must go now because I’ve just realised I spilt a small drop of coffee on my white sweater!!! I’d better run down to the washing machine!! 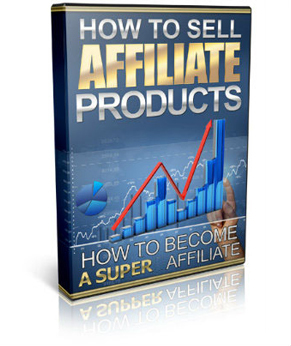 A four-week training program teaching everything about affiliate marketing. This teaches you how to set up a product to sell on the Warrior Forum.